With far reaching views looking out over our gardens, Muntjac sleeps two adults and up to five children. The most spacious and luxurious suites in the hotel featuring uninterrupted views over the forest from the master bedroom. The suite comprises of a large master bedroom, bathroom with a large bath tub and free-standing shower. The separate children’s bedroom has twin beds and enough space for two more children. 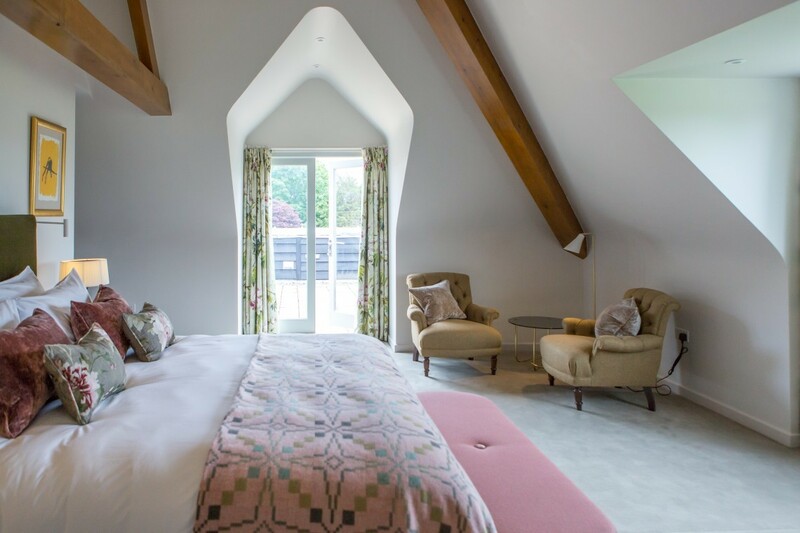 The roof terrace, that is shared with one other bedroom, overlooks the grounds and forest and is a great spot to enjoy a sunny day. If you’re staying as a family, we’ll help things run smoothly by providing all the baby and toddler equipment you’ll need. To save on packing, your suite will be stocked with the essentials such as a potty, nappy bin and bottle warmer.